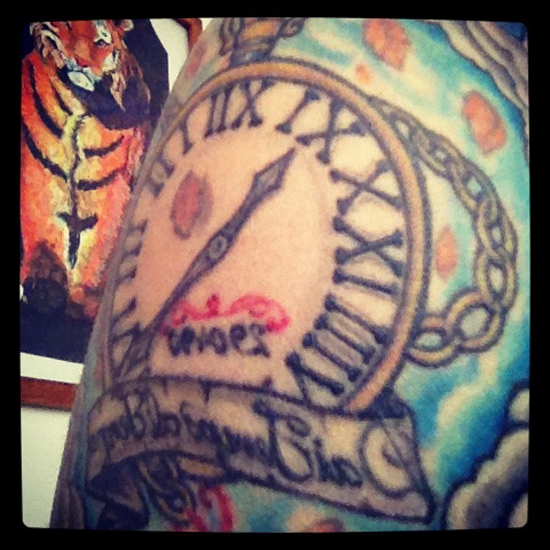 This week’s #TattooTuesday winner is @OswinCalderon, who told us this was his first tattoo. 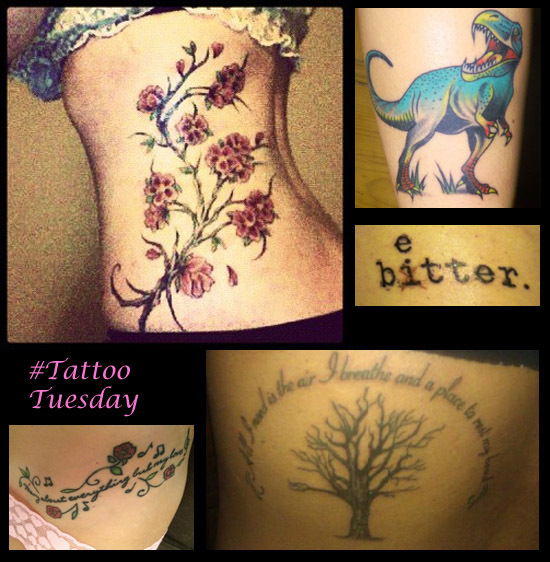 This week’s #TattooTuesday winner is Caitlynn Wachter a.k.a. @caitlynnmariex. 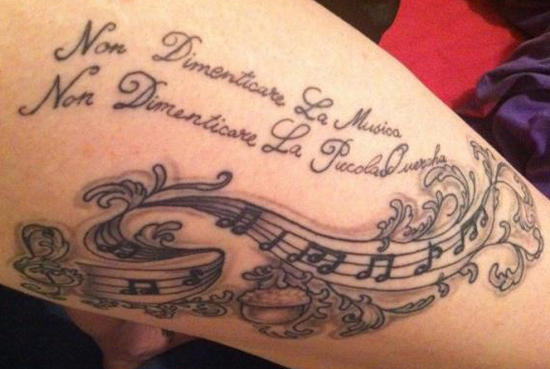 This week’s #TattooTuesday winner is Andrea Bellavigna a.k.a. 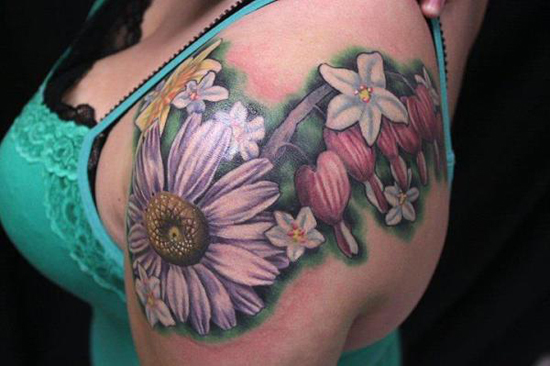 @andreadele who tells us: “This is my flower shoulder piece, each flower represents my family and I.” Beautiful! 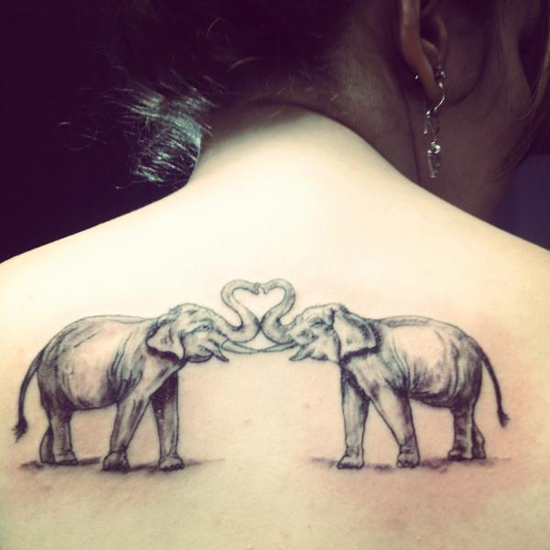 This week’s #TattooTuesday winner is Alex Mealand a.k.a. 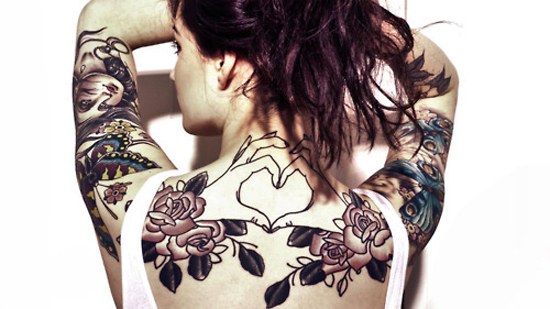 @titanic_girl. 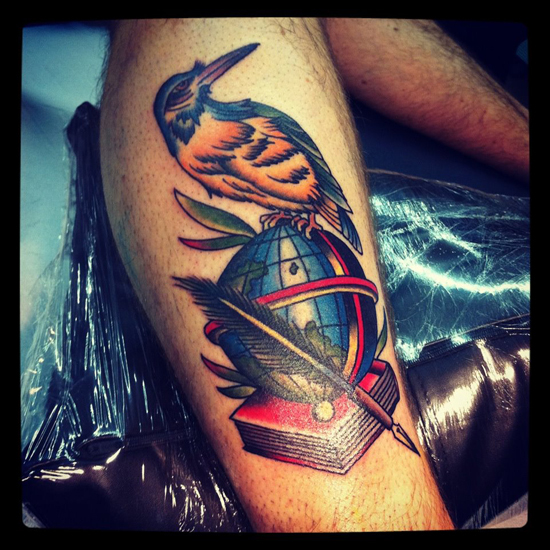 This week’s #TattooTuesday winner is @AmandaGiuliani who tells us this memorial piece to her grandparents on her right thigh means the world to her. Our favorite submissions from Twitter win a free 3 month membership to SuicideGirls.com. 1. @SophioHill (Top Left) with her beautiful floral side piece. 2. @ellacumella (Top Right) with her super cute n’ colorful tyrannosaurus rex. 3. @JasonWallace13 (Center Right) with his bitter/better message, because there can be profound beauty in simplicity. 4. @genxgina (Bottom Left) with her “Heavy about everything but my love” lyric from “Swallowed” by Bush. 5. @3AN3v013R3V3R5 (Bottom Right) in honor of Earth Day with her reminder that we need to treasure the basics in life.